Using the BRRRR strategy can be a great way to get started investing in real estate and not use up all your money. It can also be a great way to buy multiple properties when you do not have a ton of cash available. BRRRR stands for Buy, Rehab, Rent, Refinance, and Repeat. I have used conventional ways to buy rental properties and I have also used the BRRR method. You may have less cash flow after refinancing a property with this method, but you have more cash to buy more properties. What is the BRRRR Strategy Method? Get a great deal on a rental property that you can add value to through making repairs. Once you buy the property you need to fix it up so you can easily rent it. Once the property is fixed up you will rent it and start making money. Once you rent the property it is much easier to refinance it than if the house was vacant. By refinancing it you can take most or all of your money back out to invest in more properties. Once you get your money back out, you can find another great deal to buy and repeat the process. 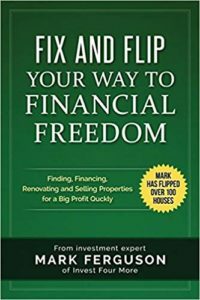 When you buy a rental property most banks will require at least 20 percent down, plus you will need money to make to rehab the property. It can be very expensive, but the BRRRR strategy helps you get that money back so you can keep buying rentals. The first step to using the BRRRR method is to find a property that is priced well below market value. When you refinance an investment property the bank will usually only refinance 75 percent of the value. If you buy a property at full retail value and then try to refinance it, you won’t get much money back out. If you get a great deal, you could get most, all, or even more money back than you spent to buy and fix up the property. Buy a house for $100,000 that needs $15,000 in repairs. The house will be worth $155,000 once those repairs are made. When you refinance the house you can get a loan for $116,250. The new loans pays off the first loan you got when buying the house plus all the repairs. When you get a loan on a property there will be closing costs that consist of appraisals, origination points, lender fees, title fees, and closing fees. You might not get all of your money back in this example, but it would be close. If you did not get a good deal, the method does not work as well. Buy a house for $130,000 that needs $15,000 in repairs. The new loan covers some of the costs but you still need $28,750 in down payment money and repairs without considering the closing costs. 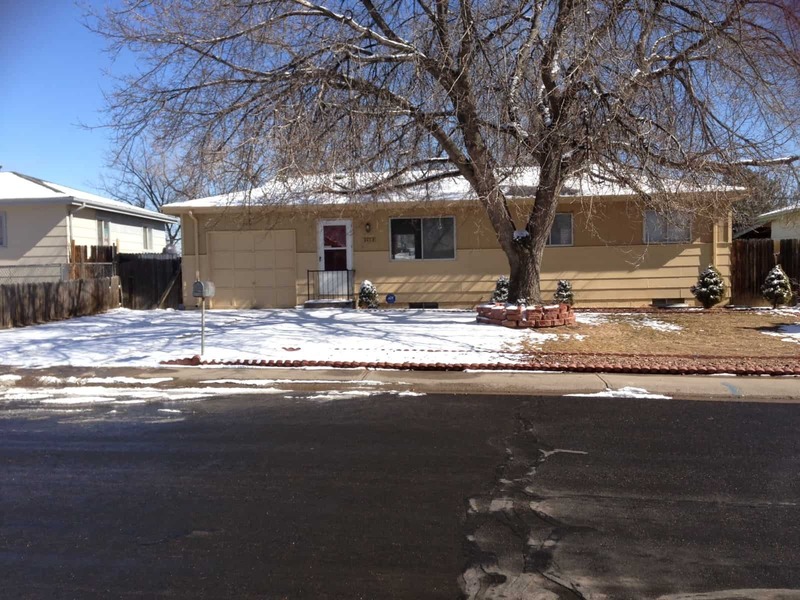 One of the trickiest parts of completing the BRRRR method is financing the properties. You may actually have to finance the property twice. Once when you buy it and once when you refinance it after making the repairs. If you have the cash to buy the property and repair it without taking out a loan, great! However, most people do not have that much cash. You will need to put 20 to 25 percent down, but the interest rate should be comparable to an owner occupant loan. The house cannot be in too bad of condition or the bank may not loan on the property. Local banks can be much more flexible when lending on rentals. They will usually have the same down payment requirement as the conventional banks, but they may overlook major repairs. They may also be more flexible with debt to income ratio problems, and limits on the number of mortgages the conventional lenders will let you have. Hard money lenders specialize loaning to house flippers, but the loans can work for rentals as well. The costs are much higher on hard money loans and the interest rates are double what the bank loans will have. The nice thing about hard money loans is that they will finance the repairs in some cases as well. Private money usually comes from people you know. A loan from friends, family, co-workers, or other investors. Private money rates can vary greatly depending on the relationship, the property, and many other factors. In some cases, the private money lender may finance the repairs as well. You can find a list of them here: Rental Property Lenders. Once you have bought the property you will need to repair it. A lot of beginners like to repair properties themselves, but forget that time is money. It is also not easy to fix up a house. If you think you are going to save $10,000 by working a few weekends you will be sorely mistaken. In fact, one of the biggest mistakes I made in my career was fixing up a house flip on my own. It took forever, I did not know what I was doing, and it cost me so many opportunities because I was always working on that house. I would suggest using a contractor, handyman, or subcontractors to make the repairs on the home. It will save you money and time in the end. The longer it takes to repair the house, the longer it is before you get money back from the refinance and start collecting rent. Remember that you may not have to make the house as nice as you would if you were flipping it. Once the repairs are made you need to get the property rented. A lot of new landlords will try to rent a house themselves to save money as well. I think it is easier to be your own property manager than your own contractor, but be careful! You cannot be soft on your tenants. You must charge late fees no matter what the excuse is. You must check on the properties often. Checking the smoke detectors and furnace filters every quarter is a great excuse. You can’t be greedy when renting. You are better off charing a little less and getting your pick of great tenants, than pushing the rent and settling for whoever will agree to it. You need to make sure you have a great lease and know the landlord/tenant laws in your state. If you do not think you have what it takes to be a landlord, get a property manager. That is what I do and it saves me so many headaches on my rentals. They find tenants, collect rent, take care of maintenance issues and are fairly cheap for what they do. Here’s an article on managing rentals. The final step to completing the BRRRR process is refinancing the property (if you don’t count repeat). There are many things to consider when refinancing the property and many things that can go wrong. Many banks will require a 6 month or year-long seasoning period to complete a cash-out refinance. That means they will not lend you more money than the most recent appriasal or sale of the house, whichever is lower, within their seasoning period. If the bank has a one year long seasoning period and you bought the house for $100,000 8 months ago. You could get an appraisal for $240,000 and the bank would still base the loan on the $100,000 purchase price. Make sure you have a lender who will refinance when you need them to before you start the BRRRR process! Another issue that I have run into on multiple occasions is a low appraisal. When the bank is deciding how much to refinance the home for, they will have an appraisal completed. The appraisal will determine what the home is worth in the bank’s eyes. You may think your house is worth $200,000, but if the appraisal comes in at $175,000, the bank is going to use the $175,000 value. That is a difference in loan amounts of $150,000 compared to $131,250. While you may think that is unlikely to happen I have seen houses appraise very low when trying to refinance them. I refinanced a house last year that I thought was worth at least $260,000 and the appraisal came in at $212,000! It was a joke, but I could not do anything about it. We tried challenging the appraisal and the appraiser would not budge. If you are going to use the BRRRR method make sure you have a backup plan if you don’t get your refinance done right away or don’t get all the money back you were hoping for! The last step in the BRRRR method is to repeat the process again and again. As you can see it may take some time to get your money back out of the property. I would not count on doing a BRRRR every three months unless you have an amazing bank. Every rental you buy needs to be a great rental and have great cash flow. The more money the rental makes every month, the more likely the banks will be to keep lending to you. If you are having problems finding banks that will refinance rental properties for you, there are national rental property lenders. They have slightly higher rates but can be easier to work with regarding debt to income ratios, seasoning periods and other challenges. I have refinanced many of my rental properties, but most of them were not a true BRRRR strategy. I refinanced them 2 or 3 years after I bought them. I was not planning to use a BRRRR strategy but it worked out well. I did have one commercial rental that I recently used the BRRRR strategy on. I used private money to buy the property, made a lot of repairs, rented it, and then refinanced it with a local bank. I refinanced it for $330,750 after it appraised for $441,000. 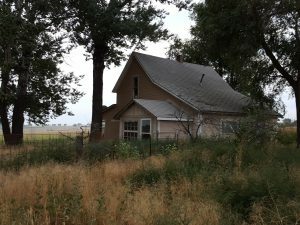 I ended up spending about $100,000 on this property after factoring in all the loan costs, a 10 percent downpayment, and repair costs. I was able to get back about $66,000, which was not everything, but I was happy. What are the pros and cons of the BRRRR strategy? The BRRRR strategy can be a great way to buy a rental, but then pull your money out to by more rentals. You may not have as much cash flow on your rental because you have a larger loan amount. The financing costs of the two loans will add to the bottom line and cost you more money. There are risks that the appraisal could come in low or you cannot find a bank to refinance. There could be other hiccups along the way with repairing the property or renting it. You have much less money investing in each rental when you use the BRRRR method. You can buy more rentals because you have more capital to invest. Your returns may be higher because you have less money investing in each property. Having more properties means more tax benefits, more equity from getting a good deal, more cash flow (hopefully), more appreciation, and more diversification. If you are getting great rental properties that have a lot of cash flow, it makes sense to use the BRRRR method. If you are buying mediocre rentals with tight numbers, you may be taking some big risks. Another question I get all the time is whether it is better to flip houses or use the BRRRR method to buy rentals. I personally do both, but I know not everyone is in that same position. 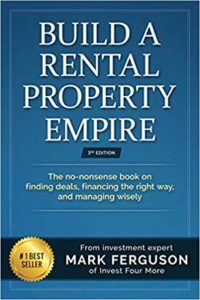 I love to buy rentals but it is tough to make them work in my market because prices are so high here in Northern Colorado. I started to flip more because those deals made more sense to me. The advantage to flipping is it can get you more capital to invest in rentals. The disadvantage of flipping is that once you sell a house is no longer makes you any money. You have to decide which is better for you. My ultimate goal is to buy rentals because they will keep making me money until I die. I have to keep buying flips over and over again to make money with them. I love flipping houses, but I may not want to be flipping when I am 80. I would run the numbers and see which way you think will get you more rental properties. Maybe you can start flipping, but once you flip three houses, make a rule that you will buy a rental. That may give you enough money to buy that rental and be able to keep flipping houses so that you can generate more income to pour into the rentals. The BRRRR method is a great way to buy rentals if you are buying great properties with a lot of cash flow. It is not something to jump into without doing your due diligence on lenders and contractors. You also have to be prepared if things do not go perfectly. If you must have all the money back that you invest in that house, and you don’t get it because of a low appraisal, it could cause major problems.